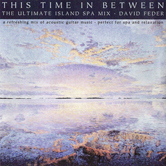 THIS TIME IN BETWEEN, The Ultimate Island Spa Mix, by musician/composer David Feder is perfect for spa, massage, relaxation, a special romantic evening or just chilling out. 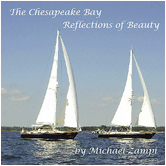 This all acoustic CD was inspired by and co-produced with massage therapists for use at an exclusive day spa in the Florida Keys. 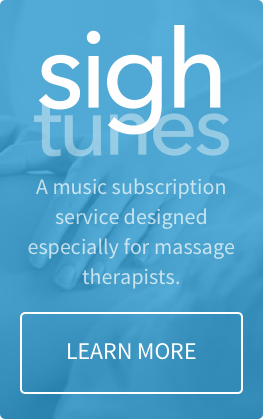 We think you’ll find that this music ranks with the best spa and massage music out there. 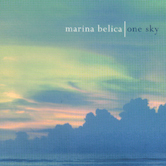 The instrumentation is all acoustic - guitar, flute and percussion - from totally ambient to soothingly uptempo. 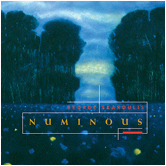 This is organic music tailored for a perfectly integrated, relaxing experience. Magic happens when a person finds the one thing in life he or she was meant to do. Such is the case with Upper Keys musician David Feder. Somehow it’s hard to imagine Feder doing anything other than creating and playing music. Known for his skills as a jazz and blues musician, Feder embraces all types of music. 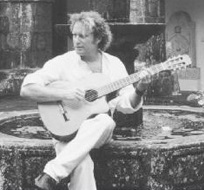 His band, the Saltwater Blues Band, (aka Salagua Azul) includes musicians from Argentina, Colombia, Spain and Puerto Rico and Feder enjoys the interpretations these musicians bring to the pieces they play. 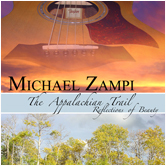 His current musical interests include Cajun and bluegrass sounds, and he also studies and experiments with Celtic music. According to Feder, Americans place too much emphasis on categorizing music. He enjoys playing in Europe where attitudes toward musical styles are more liberal. Fluent in French, he often plays in the south of France and his music has been used in French movies, environmental videos and radio commercials. Lately, he has also been performing onstage with his son Nyan, a budding young guitarist following in his father’s footsteps.